Not everything at a cookout needs to be unhealthy. These salt and vinegar zucchini chips are a simple but delicious treat that all ages with gobble up. Whisk olive oil and vinegar in a large bowl. Slice zucchini 1/8” thick with a food slicer. 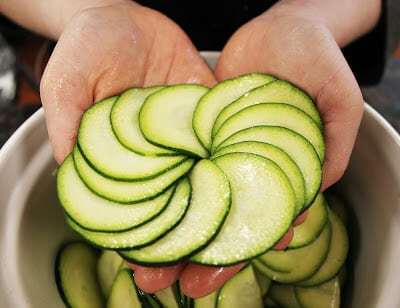 Add zucchini to bowl and toss until evenly coated. 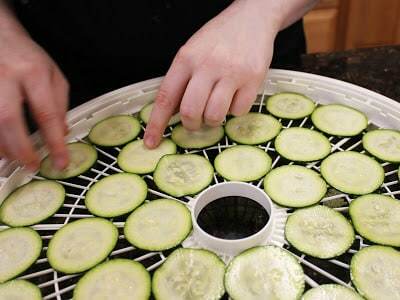 Lay zucchini slices in a single layer on dehydrator trays and sprinkle with sea salt. 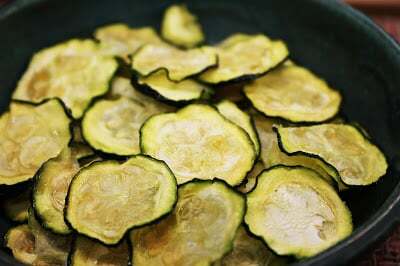 Dehydrate zucchini slices for 6-12 hours at 140° or until they reach chip-like consistency.